How & Why I Make Bone Broth and Veggie Stock. Thanksgiving is days away and i'm starting to get things ready for our annual family gathering. One of my must - haves for preparing meals like this is a huge batch of bone or veggie broth. It adds moisture to our stuffing and provides so much flavor to so many holiday staples. I will forever love homemade bone broths and veggie stocks in place of store bought, they are better for you and the flavor is so much richer friends, I promise you. Its a one pot deal that is so simple you'll be kicking yourself for buying the canned stuff all these years! I love getting in the kitchen with my kids to prepare a fresh, slow cooked batch to keep us stocked up. It's become a lovely tradition that we've woven into the rhythm of our week. 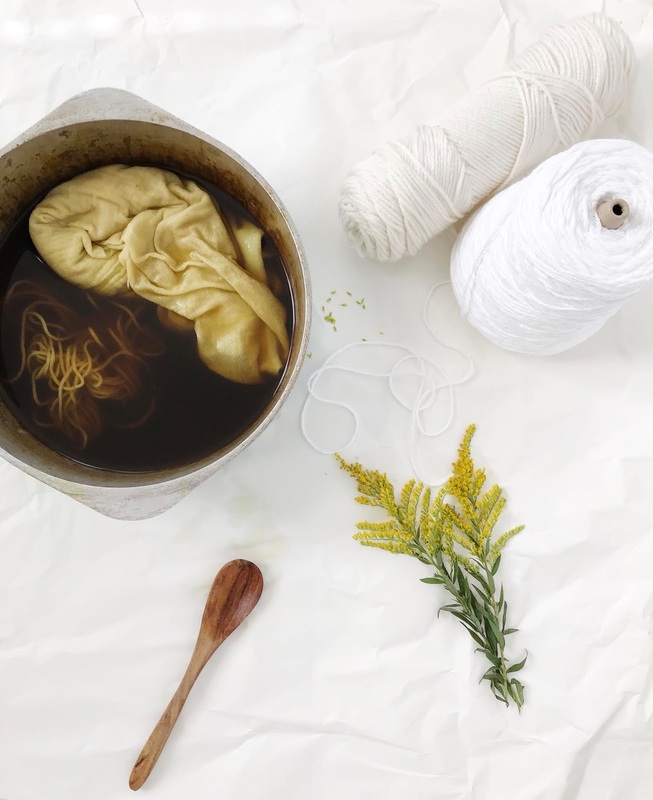 There are so many different recipes and ways that you can whip up your own broths and stocks but I find that simple is always best. We keep things to just a few ingredients and let it do its thing for a few hours before straining and canning. 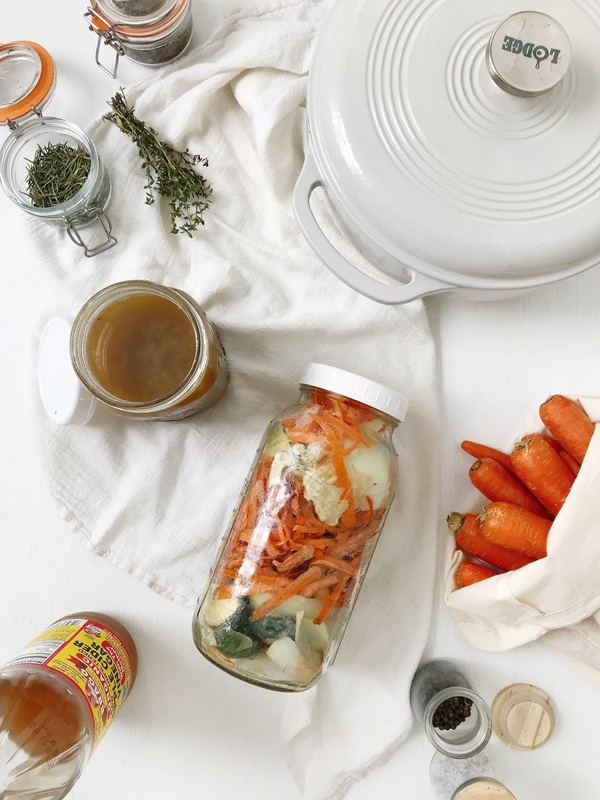 For vegetable stock, I like to save veggie scraps all week long and freeze them in a mason jar, adding the peels and skins in every time I cook instead of tossing them in the trash. I love that this reduces food waste and the amount of trash we are producing and turns into something so nutritious and nourishing in return! When i'm making bone broth, I simply add the bones of a roasted chicken into the pot with a dash of apple cider vinegar to help extract all of the minerals and healing compounds that are amazing for joint health and leaky gut like collagen and proline. 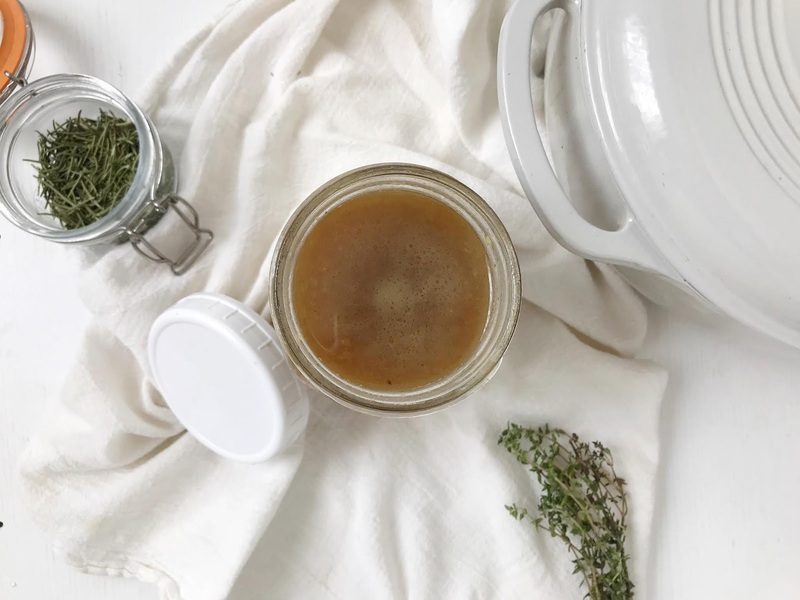 If you haven't read into the benefits of bone broth and why we love it for our overall wellness click HERE to learn more! Heat a large pot over medium heat. Once hot, add oil (or water), onion, garlic, carrots, and celery. Add 1/2 tsp each sea salt and black pepper (amount as recipe is written // adjust if altering batch size) and stir to coat. Sauté for about 5 minutes or until softened and slightly browned, stirring frequently. Add water, greens, parsley, thyme, rosemary, bay leaves, and another 1/2 tsp sea salt and black pepper (amount as recipe is written // adjust if altering batch size) and increase heat to medium high until the mixture comes to a boil. Once boiling, reduce heat to a simmer and add nutritional yeast and tomato paste (add less of both for less intense flavor, or more for bigger more robust flavor!). Stir to combine and loosely cover (with the lid cracked). Near the end of cooking, taste and adjust flavor as needed, adding more herbs for herby/earthy flavor, salt for saltiness, pepper for a little spice. Let cool slightly before pouring over a strainer into another pot. Then divide between storage vessels (I prefer glass mason jars). Let cool completely before sealing. Store in the refrigerator up to 5 days or in the freezer up to 1 month (sometimes longer). Perfect for use in soups, recipes, gravy, and more! Recipe jotted down and modified from the Minimalist Baker. Optional: 1 bunch of parsley, 1 TBSP or more of sea salt, 1 tsp peppercorns, additional herbs or spices to taste. I also add 2 cloves of garlic for the last 30 minutes of cooking. During the first few hours of simmering, you'll need to remove the impurities that float to the surface. A frothy/foamy layer will form and it can be easily scooped off with a big spoon. Throw this part away. I typically check it every 20 minutes for the first 2 hours to remove this. Grass-fed and healthy animals will produce much less of this than conventional animals. Remove from heat and let cool slightly. Strain using a fine metal strainer to remove all the bits of bone and vegetable. When cool enough, store in a gallon size glass jar in the fridge for up to 5 days, or freeze for later use. Recipe shared from Wellness Mama. Nothing smells better than when the house is filled with the smell of fresh stock simmering on the stove. I hope this inspires you to get in the kitchen and make a batch of your own. Enjoy!